According to the directions of the 7×7 Award, the recipient should review all of the posts he/she has written and then list the top posts under seven different catagories. Then it should be passed on to seven other bloggers. 1. Most Beautiful – This past summer’s road trip to the Great American West took us through Billings, Montana and along the Beartooth Scenic Highway all the way to Yellowstone. Although I had to choose between that post, the one on South Dakota’s Badlands, and Wyonming’s Tetons, which was a horrible choice to have to make, I went with this one because of its unexpected heights, snow still hanging on in August, and the unbelievably gorgeous scenery. 2. Most Helpful – How to Throw a Party in less than 24 Hours, complete with simple yet decadent cake recipe and the rules for delegating. Plus it’s timely. Use it for Christmas! 3. Most Popular – I’m listing two here. The first is by sheer numbers getting nearly a thousand hits: Kentucky Derby Lineup. But most of these were by people seeking info only and not reading for the skill of my writing – or lack of. The second – and the one friends and family still comment on is: Tonka Trucks and Memories. This one still breaks my heart and touches the places that parents understand the power of. 4. Most Controversial – Hunting Wild Mushrooms! So many people think that I have fallen down and bumped my little head when I say that I love hunting mushrooms. But this is a no fail morel in which there isn’t another mushroom that looks the same. There is something called the false morel, but it is round in shape and solid in form; unlike the true morel which is cone shaped and hollow. You can see pictures of our great finds at this post. And I understand that in France, you can take your mushrooms to the local pharmacist and they will tell you whether or not your bag of beauties is truly edible – another reason to love France! 5. Most Surprisingly Successful – Champagne from Grape to Glass! This one even ended up on an online travel magazine’s website for travel blogs. It was one that I spent some real time on and if you haven’t taken the tour with me through this post, please do. It still amazes me as to what can be done with a tiny grape! 6. Most Underrated – What to Do With Inheritance. This is another of those posts that pulls my heart strings, connects me with my family through generations who didn’t even get the chance to know each other – like my father and my son. I still tear up at this one. 7. Most Pride Worthy – For use of quotes and placement of photos there was no other choice to be made. The Year That Changed My Life wins hands down! But the pride of this one isn’t just in the blog post itself, but the action that inspired the topic. Perhaps these seven – or in my case eight – posts say something about who we are and what inspires us. And it has been great fun returning to earlier posts and seeing the evolution of my own blog as it has grown and matured over the past year. And my blog’s anniversary date is November 21, 2010 when I first signed on. So Arindam’s award on November 20 hit it at the full one year mark – something he probably didn’t even know. Over this course of a year I have gotten and given awards. I didn’t add them to my website because it seemed a little self-congratulatory and I thought I like the clean lines of the simple blog. But as I was preparing to dole out my own nominations, I found that it was very helpful to see who had received this award before. So I am changing my mind and adding them to the blog. Here are my seven picks for bloggers whose sites I enjoy and for whom this would be a new award. I also am looking forward to seeing what they will reveal about themselves through their own choices of the seven categories. Please check out their websites and read a few of their blogs. They inspire me and I believe they will inspire you as well. And if I have failed a link or misspelled a name, please correct me. I love writing and reading, but sometimes fall short of the desired mark in working with computer language. Oh, what a fun and special award! Congratulations on being a recipient AND presenting it to me. I’m definitely going to make sure I’ve read all of your posts you mentioned (some of them I definitely remember!). And I’ll visit the blogs you mentioned that aren’t on my reading list. Thanks so much! It will be fun to write an acceptance post for this one! Can’t wait to read your 7 posts as they’re all so wonderful! I love the way you accepted this challenge. Well done my friend. Thank you so much. It was fun and crazy busy. Guess I was ‘rockin the crazy’ in November! After reading my introduction in this post of yours, i am just feeling like i am the hero of your novel which you wrote For NaNoWriMo. You deserve all these appreciations , you are doing a wonderful job. I think we are lucky for each other’s blogs actually. And I am learning a lot about perspective from reading your posts. As always, they are great. 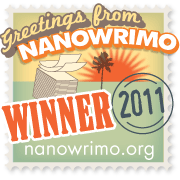 Congratulations to you on your award, NaNoWriMo completion, and one year up and running on your blog. What a month you have had! I look forward to reading your posts that I’ve missed and also some of the new recipients that I’m unfamiliar with. Always like to read new voices that inspire and what an author finds to be their favor pieces. Hope you take a moment to relax now. Congrats! Thank you Annie. It has been busy, but that just shows what we can do when pressed. I noticed your site has a ‘nanowrimo winner’ award, so I know you understand! Congrats, Renee! Thanks so much for mentioning me and the link. And another big congrats for the NaNoWriMo. I am impressed. I don’t know if I could ever stick to a schedule of writing. For me, it always comes in starts and stops. As long as it keeps coming, the starts and stops are ok. Your posts are so thoughtful and I enjoy them immensely. Thanks! Wow, how did I not know your name was Renee, also? Congrats on the award and I do love that you are giving it to newish bloggers. John is a complete hoot. I will take a look at the others. Thank you. They are nice, aren’t they! What an interesting award! Congratulations and thank you *very* much for presenting it to me. 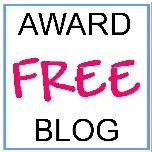 I look forward to reading the posts you selected as well as the other blog sites I’m not familiar with – especially after they’ve done their “7 x 7 Award” post! The accepting of this award is really gonna cause me to think! I look forward to checking out your posts, especially the most helpful one. Congratulations! Thank you and I’m so glad we met over blogs! Thank you Renee! I so appreciate your passing of this award on to me! I haven’t heard of this award before. . .It will be a bit of a challenge to pickmy top posts…choices, choices! I’vebeen slow to do these award posts…largely because I want to take my time in choosing who to pass the award on to. But I’ll try to be more timely about putting this together. Thank you Sheila and your award is well deserved. I can’t wait to read your choices. Thank you, Renee, for 1) sharing all these wonderful posts!! (can’t wait to go read ’em) and 2) sharing the love. I will take the time to do as you say but please forgive me if it’s not straight away. Thanks again and Congrats on the novel .. whoop whoop!! Take all the time you need MJ. We’re all pushed and pressed to the max right now. And I know your thoughtfulness in responding will be well worth the wait. Thanks.